Write note on origin of multicellularity? How was animal originated on land? Give general characteristics of phylum Porifera? Write note on body wall and skeleton of sponges? Write note on canal system in sponges? Discuss canal system in sponges. Write note Ascon type canal system. Write a note on Leucon type canal system. Write a note on Sycon type of canal system. Write note on nutrition in sponges. Write note on sexual reproduction in sponges. Write note on asexual reproduction in sponges. What is biradial symmetcry?.Give general characteristics of phylum cnidaria. Write note on body wall of Cnidarians. Write note on alternation of generation of sponges. Give general characteristics of Phylum Ctenophora. Write a short not ow Pleurobrachia. Discuss taxonomic position of Cnidarians and Ctenophores. Ans: A syncytium is a large multinucleate protist cell. 2. Why are Choanocytes also called collar cells? Ans: They have a collar like ring of microvilli surrounding a flagellum. 3. Give water course through sycon type canal system. Ans: Dermal pore — incurrent canal — pore — radial canal — spongocoel — osculum. 4. Name the canals present in the leucon type canal system. Ans: Branched incurrent canal, Choanocytes chamber and Excurrent canal. 5. What are the advantages of complex canal system? Ans: Complex sponges have an increased surface area for choanocytes. Therefore, a large amount of water moved through the sponge. It increases the filtering capability of sponge. 6. What is the food of sponges? Ans: Their food consists of bacteria, microscopic algae, protists. and other suspended organic matter. 7. How are gases and wastes removed from the body of sponge? Ans: Thus, nitrogenous waste (principally ammonia) removal and gas exchange occur by diffusion. 8. How are gametes formed in the sponges? Ans: Certain choanocytes lose their collars and flagella. They undergo meiosis and form flagellated sperm. Other choanocytes (and amoeboid cells in some sponges) undergo meiosis and form eggs. 9. Give regeneration in sponges. Ans: Some sponges possess remarkable powers of regeneration Portions of a sponge are cut or broken. The broken piece forms new sponge. 10. What is a gemmule? Ans: Gemmule is a resistant capsule containing masses of amoeboid cells. 11. What are oral and aboral ends? Ans: The end of the animal that contains the mouth is called oral end. The opposite end is called aboral end. Ans: A jellylike layer is present between the epidermis and gastrodermis. It is called mesoglea. 13.What is alternation of generation? Ans: The phenomenon in which asexually reproducing medusa alternates with sexually reproducing medusa is called alternation of generation. Ans: The tube like zooid is called polyp. “Hie umbrella like zooid is called medusa. 15.How do polyps become erect? Ans: The mouth is closed and water in the gastrovascular cavity is compressed. Therefbre the polyp elongates. 16. How does locomotion take place in jelly fishes? Ans: Contractions of circular ‘and radial epitheliomuscular cells produce rhythmic pulsations of the bell. It drives water from beneath the bell and propels the medusa through the water. 17. How do respiration and excretion occur in cnidarians? Ans: The cnidarians have large surface-area-to-volume ratio. All cells are preset at a short distance from the body surface. Therefore oxygen, carbon dioxide. and nitrogenous wastes exchange by diffusion. 18. Name classes of Cnidarians. 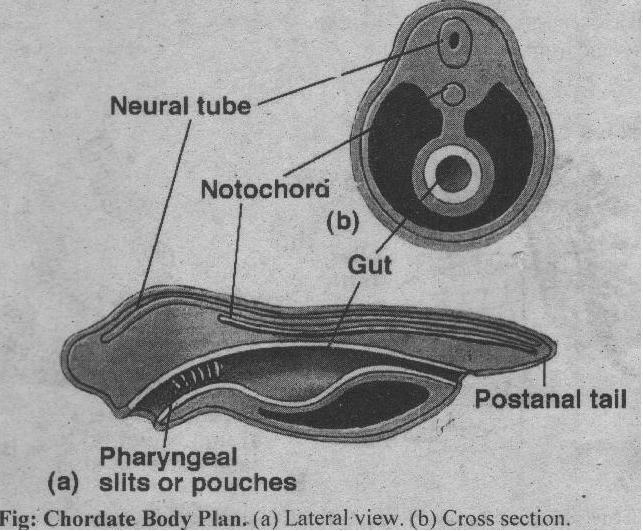 19.What are adhesive structures in Ctenophora? Ans: Radial (biradial) symmetry, diploblastic organization. Nerve nets, gastrovascular cavities.